Nocturne is my second full-length novel, released July 3, 2017. It’s a fantasy story, probably the “purest” fantasy I’ve ever written. There is magic, and it’s central to the plot. That plot indeed revolves around the magic system, but it’s also full of suspense, political machinations, revolution, and social commentary. 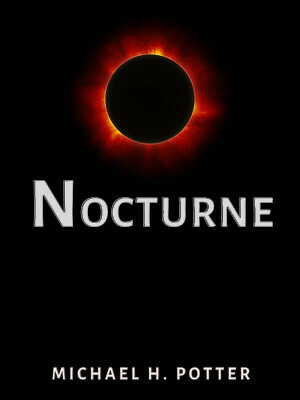 At present, Nocturne is a standalone novel, though its ending is intentionally left open for the possibility of a sequel. And unlike many of my stories, it’s pretty set in its genre. There’s no hidden machinery, no real-world trappings, no sci-fi elements in the background. Pure fantasy, but a fantasy that is very much affected by our reality. Nocturne is available on Patreon for readers who are willing to pledge a minimum of $1 a month. If you’d rather buy it outright, you can find it at the Kindle store for $3.99. And for the first time ever, I’ve written a book that is available in digital and paperback editions on the same day! That’s right. Amazon also stocks the paperback version of Nocturne for the low, low price of $12,99. Later on, I hope to expand to other markets, but that’s for another day.